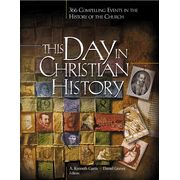 There are two articles below – one is a brief one that tells the story of Adoniram Judson on this day in history. Hopefully this article will whet your appetite for the mini-biography I’ve included on his life – it’s an amazing story of hardship, perseverance, and God’s providential goodness in the saving of many lives to the glory of God. We desperately need more men like Adoniram Judson in our day and age! After receiving this devastating news, Judson wrote to Ann’s mother. Possessed of boundless bliss in Thee. Amherst, April 26, 1827: My little Maria lies by the side of her fond mother. The complaint to which she was subject several months proved incurable. She had the best medical advice; and the kind care of her own mother. But…the work of death went forward, and after the usual process, excruciating to a parent’s heart, she ceased to breathe on the 24th instant, at 3 o’clock P.M., aged two years and three months…The next morning we made her last bed in the small enclosure that surrounds her mother’s loney grave. Together they rest in hope…and together, I trust, their spirits are rejoicing after a short separation of precisely six months. And I am left alone in the wide world. My own dear family I have buried; one in Rangoon, and two in Amherst. What remains for me but to hold myself in readiness for follow the dear departed to that blessed world. Where God, my Savior, reigns. If you were to have an experience like Adoniram Judson’s, how do you think you would react? What hope do you have to hold on to? 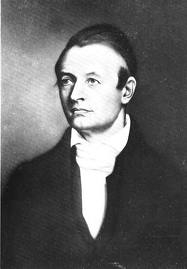 Judson, Adoniram (August 9, 1788–April 12, 1850), was the first American foreign missionary. He helped establish the American Board of Commissioners for Foreign Missions, translated the Bible in the language of Burma (1840), and compiled the 2 (1849). Adoniram was born in Malden, Massachusetts, in 1788. His father was a Congregationalist pastor … At age sixteen, Adoniram entered Providence College (renamed Brown University shortly after he began his studies). Here he met a young infidel named Jacob Eames. Both he and Adoniram were of quick wit, had a flair for the dramatic, and loved to study. Often they would debate and discuss their future careers, politics, philosophy, and religion late into the evening. Adoniram’s religious arguments grew feeble before the wit and logic of Eames’ atheism, and before his graduation, Adoniram declared himself an atheist. After commencement, Adoniram went home to his parents and informed them that he was an atheist and planned to taste the pleasures of the world. His father tried to reason with him, and his mother was broken-hearted, but Adoniram would not be deterred. He left for New York City, intending to be a playwright, and although the excitement of his new circumstances drove from his mind the arguments of his father, he could not forget the tears of his mother. There was a terror in these fantastically unwinding ideas. But as they presented themselves, another part of himself jeered. Midnight fancies! that part said scornfully. What a skin-deep thing this freethinking philosophy of Adoniram Judson, valedictorian, scholar, teacher, ambitious man, must be! What would the classmates at Brown say to these terrors of the night, who thought of him as bold in thought? Above all what would Eames say—Eames the clear-headed, skeptical, witty, talented? He imagined Eames laughter and felt shame. How he got through the next few hours, Adoniram was never also to remember. Only the words, “Lost, lost, lost,” echoed through his mind. The truth of Scripture struck deep in his heart. He knew then that his father was right. He knew Eames was lost! Lost for eternity! At Andover Theological Seminary, he became the leader of a missionary movement out of which grew the American Board of Commissioners for Foreign Missions. He was sent to England to seek the financial support of the London Missionary Society. On the way his ship was captured by a French privateer, and he was thrown into a French prison. He eventually escaped and found his way to England, only to be turned down for financial support. His mission was to be entirely American funded. Nancy’s father, impressed with Adoniram’s dedication and character gave his consent. Just two weeks after their marriage, Adoniram and Nancy left for India under the support of the Congregationalist Church. During the voyage, Adoniram continued a translation of the New Testament from Greek into English, and as he did so he became convinced of the Baptist position. Shortly after their arrival at Serampore he and Nancy were baptized by William Ward, an assistant to missionary William Carey. As a result he felt compelled to resign from the Congregationalists and solicit the American Baptists for support, though as yet they had no missionary society. They met with immediate resistance from the British East India Company, who would not allow Americans to remain in their territories. The Judson’s then sailed to Java, Penang, Madras, and finally, after weeks of being hounded by the Company they took passage from Madras on the only ship available, and that was bound for Rangoon in Burma. In 1813, they arrived in Myanmar, where he remained for 30 years. Nancy gave birth to their second child, Roger William Judson, (their first was stillborn during the tumultuous sea voyages). Their joy was short-lived as the boy contracted a tropical disease and died. The loss of their second child became an opportunity to form an unlikely friendship with the Viceroy of Rangoon and his wife, which in turn gave them some protection from the continual harassment of corrupt Burmese officials. Learning the language gave way to teaching and translation of the Bible. Nancy started a school to educate Burmese girls. With the arrival of a printer and press, Adoniram began to print tracts and portions of the New Testament in Burmese. His first breakthrough came when he decided to build a Zayat, a Buddhist-style meditation room, on a main street. This allowed him to hold meetings and teach passers-by in a way that was not foreign to them. He even visited a Buddhist service to learn how the meetings were conducted. His efforts bore fruit and after six years, they had their first convert, Maung Nau. The conversion of Maung Nau “gave the mission a new impetus” as Christianity no longer was viewed as just a western religion: Rangoon’s idle curiosity about the new religion had been satisfied. The enquirers who came now were genuinely interested in it as a faith for themselves. Adoniram tried unsuccessfully to petition the despotic Emperor to allow religious freedom, but he would not hear of it. Adoniram continued to preach the Gospel as best he could. News of Judson’s failure with the Emperor led to increased persecution of the believers, yet despite this they remained faithful. Adoniram insisted that converts undergo intense training before he would baptize them, as preparation for persecution. He avoided direct affronts to the Emperor or the Buddhist religion, and respectfully wore, in the presence of the Emperor, a white robe which would mark him out as a religious teacher, without allowing him to be confused with a Buddhist priest (who wore yellow). 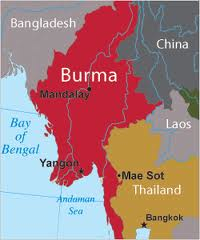 For some time Burma had been raiding East India Company territory because they took the English commander’s refusal to fight as a sign of weakness. This led to the eruption of war and on June 8, 1824, Adoniram and medical missionary Dr. Jonathan Price were falsely accused by Burmese officials as spies and arrested. They were imprisoned twenty-one months in the Death Prison, known for its deplorable conditions. Nancy alone was left outside to get help for the prisoners and petition for their release. After the British defeated the Burmese, Adoniram and Dr. Price were released and reunited with their families. British General Campbell then held a state dinner for the Burmese officials. When the Burmese saw Adoniram and Nancy seated at the head table, they visibly trembled, as they expected retribution for the horrible way they treated the Judsons during the imprisonment. After speaking with the General in English, Nancy turned and spoke politely to the officials in the Burmese language, telling them they had nothing to fear. My dear sir: To one who has suffered so much and with such exemplary fortitude, there needs but little preface to tell a tale of distress. It were cruel indeed to torture you with doubt and suspense. To sum up the unhappy tidings in a few words—Mrs. Judson is no more. Shortly after, their daughter Maria, who had been born while Adoniram was in prison, died. A letter was then received from America informing of the death of Adoniram’s father. Adoniram went into a deep depression, guilt and self-incrimination. He destroyed all correspondence congratulating him on his part in helping the British in the war. He gave away every penny he had. He wrote to Brown University and returned the honorary doctorate they had given him. At one point he withdrew to the edge of the jungle and dug a grave where he would sit and meditate on the meaning of death. He gradually recovered and with renewed determination, completed his translation work. It was at this time that he and a colleague George Boardman were instrumental in the conversion of a member of the Karen People, Ko Tha Byu. Ko Tha Byu has come to be known as the Karen Apostle, the virtual founder of Karen Christianity. Recognizing that Christianity was the fulfillment of his people’s own legends his ministry resulted in the conversion of thousands. Within 25 years the were 11,878 baptized Karen believers. 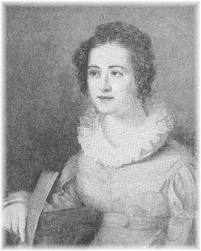 On April 10, 1834, after being alone for eight years, Adoniram married Sarah Hall Boardman, the widow of missionary companion George Boardman who died. On October 4, 1840, after twenty-three years of translation work, Adoniram completed translating the Bible from Hebrew and Greek into the Burmese language. In 1845, he left to visit the United States, and his wife Sarah died during the voyage, being buried on the Island of St. Helena. 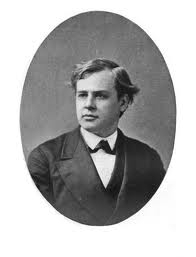 While in America he met Fanny Forester (known as Emily Chubbuck), a gifted young writer, and they were married on June 2, 1846. On his return to Moulmein (1846; now Mawlamyine) he completed and published his Dictionary, English and Burmese (1849). The dictionary was so well done that it remained the core of all Burmese language translation for over one hundred years. Lying here on my bed, when I could not talk, I have had such views of the loving condescension of Christ and the glories of heaven as I believe are seldom granted to mortal man. It is not because I shrink from death that I wish to live; neither is it because the ties that bind me here, though some of them are very sweet, bear any comparison with the drawings I feel at times towards heaven. But a few years would not be missed from my eternity bliss, and I can well afford to spare them, both for your sake and the sake of the poor Burmans. I am not tired of my work, neither am I tired of the world. Yet when Christ calls me home, I shall go with the gladness of a boy bounding away from his school. Perhaps I feel something like the young bride, when she contemplates resigning the pleasant associations of her childhood for a yet dearer home—though only a very little like her, for there is no doubt resting on my future. Then I am glad they have it to say, that a man coming from the Antipodes had nothing better to tell than the wondrous story of Jesus’ dying love. 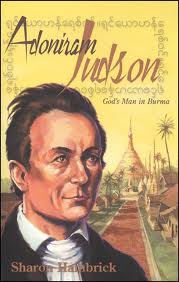 At the time of Dr. Adoniram Judson death, there were 7,000 Burmese Christians, 63 churches, 123 missionaries. Throughout the world, there are 2,700 missionaries serving through the missionary societies that Dr. Judson helped establish. The Judson Memorial Church in New York City is named for him (Mini-biography from Logos Great Quotations). For Further reading on Adoniram Judson: The standard work on Judson is Francis Wayland, A Memoir of the Life and Labors of the Rev. Adoniram Judson, D.D. (2 vols., 1853). See also Edward Judson, The Life of Adoniram Judson (1883); Stacy R. Warburton, Eastward! The Story of Adoniram Judson (1937); and Courtney Anderson, To the Golden Shore: The Life of Adoniram Judson (1956). Author’s of the First brief article Above: Mike and Sharon Rusten are not only marriage and business partners; they also share a love for history. Mike studied at Princeton (B.A. ), the University of Minnesota (M.A. ), Westminster Theological Seminary (M.Div. ), Trinity Evangelical Divinity School (Th.M. ), and New York University (Ph.D.). Sharon studied at Beaver College, Lake Forest College, and the University of Minnesota (B.A. ), and together with Mike has attended the American Institute of Holy Land Studies (now Jerusalem University College). The Rustens have two grown children and live in Minnetonka, Minnesota. This article was adapted from the April 25th entry in their wonderful book The One Year Book of Christian History, Carol Stream, IL: Tyndale, 2003. 856: Paschasius Radbertus died in this day. He is considered to have been the first person to write a book on the Eucharist called On the Body and Blood of the Lord. Although he did not use the term, he taught transubstantiation, the belief that the substance of the bread and wine literally become, by faith Christ’s body and blood. 1396: St. Stephen of Perm, who converted the heathen Zyrian tribes of the Ural Mountains in Russia, died on this day. 1478: As they were entering church to celebrate Easter mass, two Medici brothers were attacked by the pope’s men, with the pope’s knowledge. The Medici and Pazzi families were quarreling over which would handle the Vatican banking. The pope wanted to drop the Medicis and install his own favorites. 1877: Minnesotans observed a statewide day of prayer to implore God to remove a plague of grasshoppers. Grasshoppers had devastated the land in 1876. The prayer did not seem to work. Warm temperatures over the next two days caused millions of larvae to wiggle to life. But a plunge in temperatures on the fourth day froze and killed all of the newly hatched wigglers. 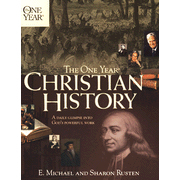 Adapted from the April 26th entry in This Day In Christian History, edited by A Kenneth Curtis and Daniel Graves, Camp Hill, PA: Christian Publications. Glad to hear this article was helpful!